While a postgraduate research student at the University of Exeter’s Camborne School of Mines, Pete Whitbread-Abrutat devised, developed and managed a four-year research programme investigating the factors affecting the successful establishment of trees on metalliferous mine wastes and assessing methods to improve their establishment in restoration schemes. Prior to the research it was thought that substrate contamination with arsenic and copper, in particular, were the principal causes of poor tree establishment. Assessment of the success of tree planting schemes and deduction of reasons for success/ failure. Field studies of the natural recolonisation of Cornish metalliferous mine sites. 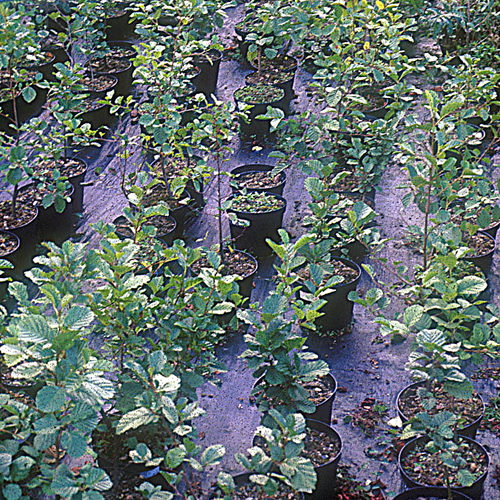 Nursery-based pot trials involving planting trees in contaminated mine wastes mixed with a range of several soil amendments – some conventional and some novel. Collection, preparation and chemical analysis of many hundreds of vegetation and substrate samples for using a range of wet and dry analytical techniques. The research concluded that poor tree establishment in mine waste reclamation schemes is caused primarily by human factors rather than geochemical ones, particularly poor species choice, site preparation and planting technique; inappropriate soil amendment choice and inadequate aftercare. A summary report expanding on these conclusions and providing recommendations was sent to the relevant local authorities and businesses involved in mine reclamation in Cornwall to inform future reclamation practices.